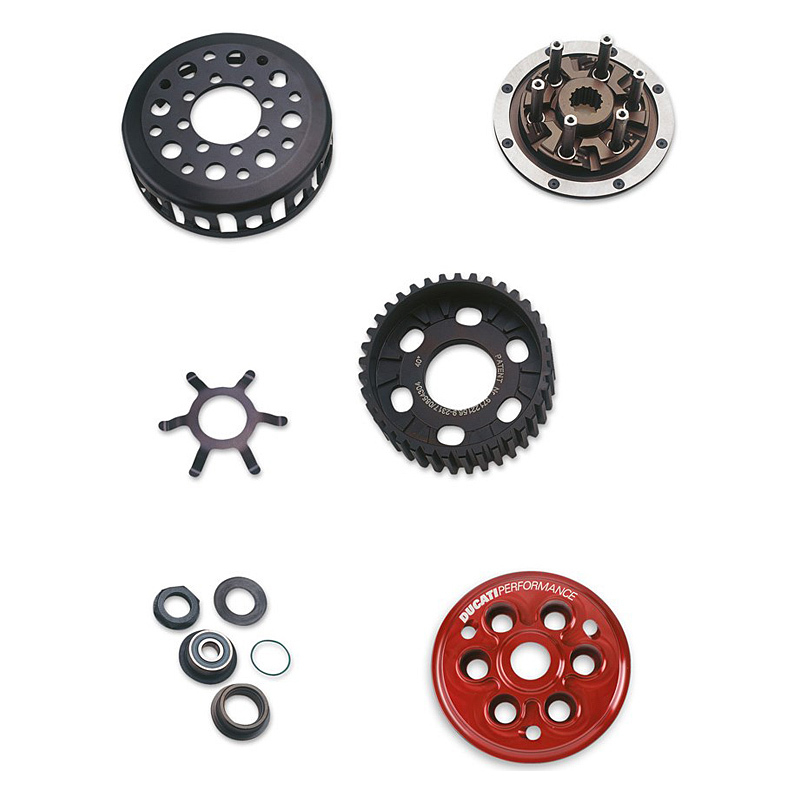 DescriptionSlipper clutch kit that prevents rear wheel locking under hard downshifting. It is designed to fit the same springs as the standard clutch (springs are not supplied with the kit), and maintains the same pressure on the lever to the advantage of comfort in everyday riding. Slipper clutch kit that prevents rear wheel locking under hard downshifting. It is designed to fit the same springs as the standard clutch (springs are not supplied with the kit), and maintains the same pressure on the lever to the advantage of comfort in everyday riding.